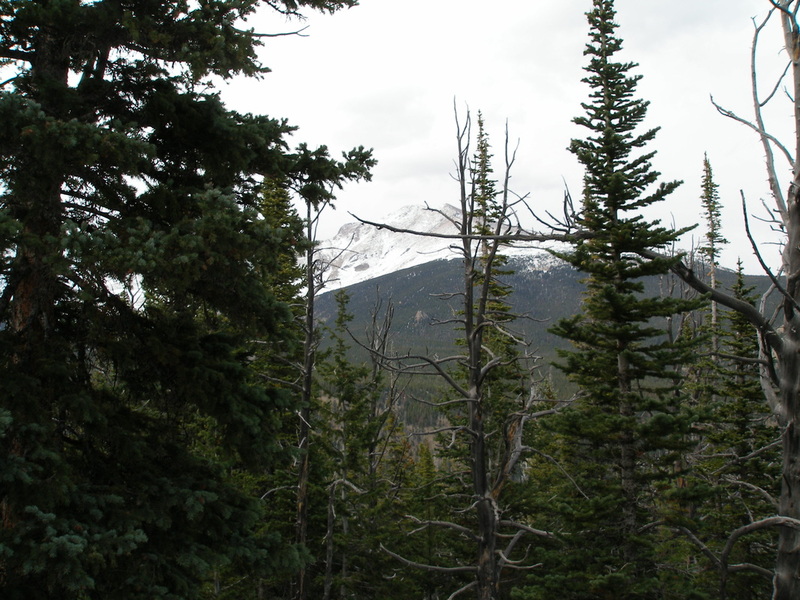 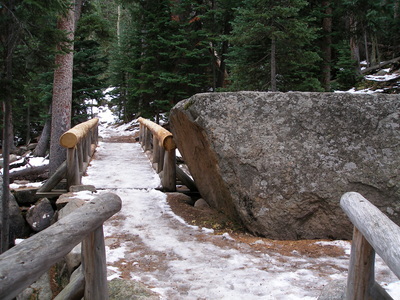 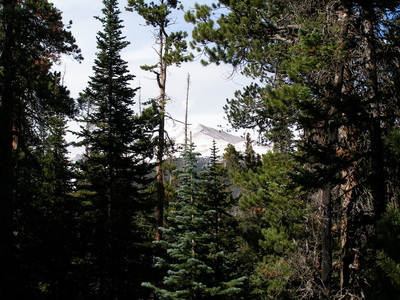 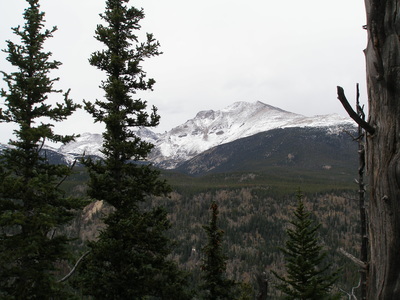 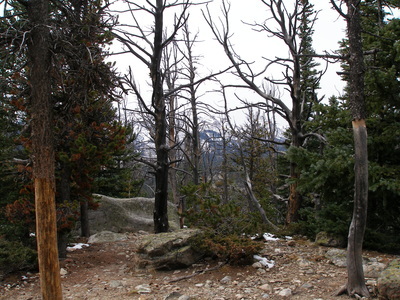 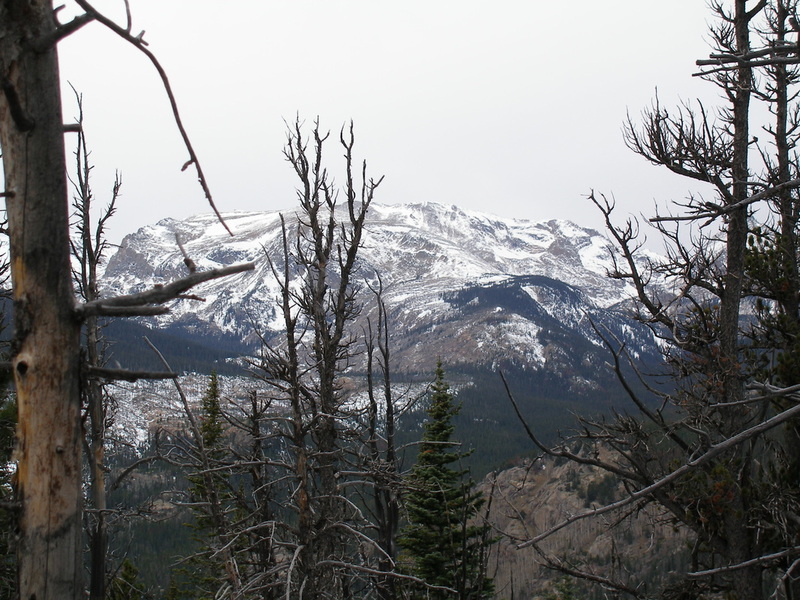 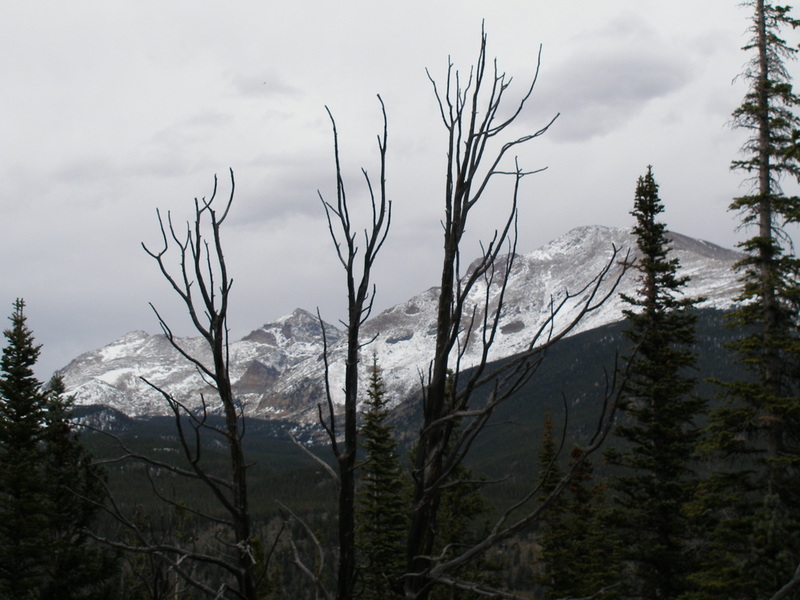 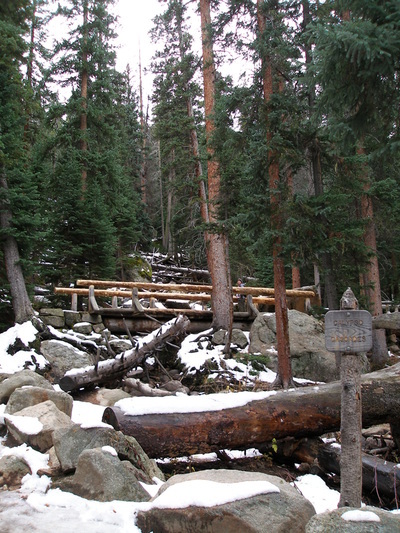 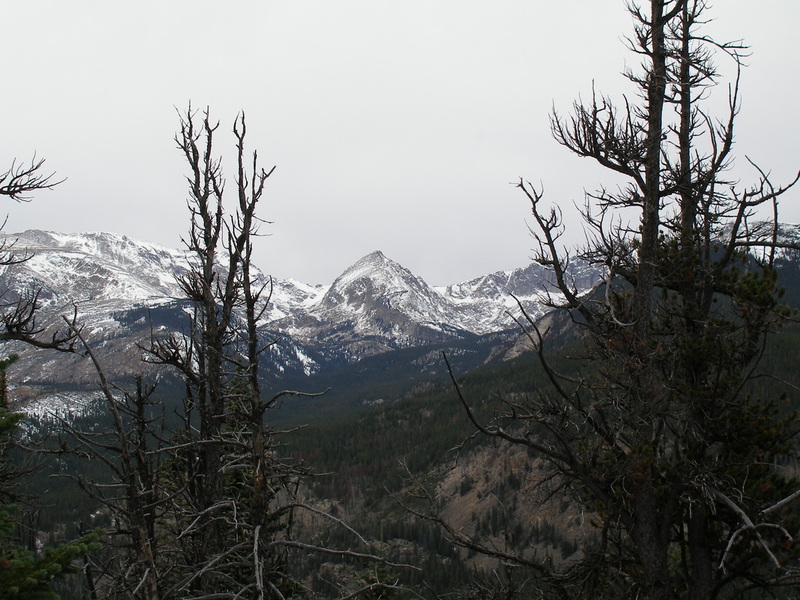 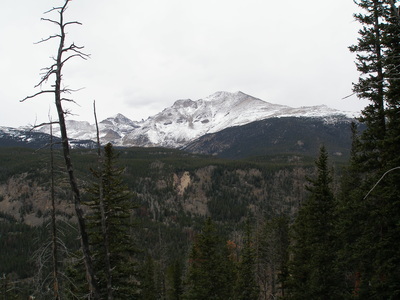 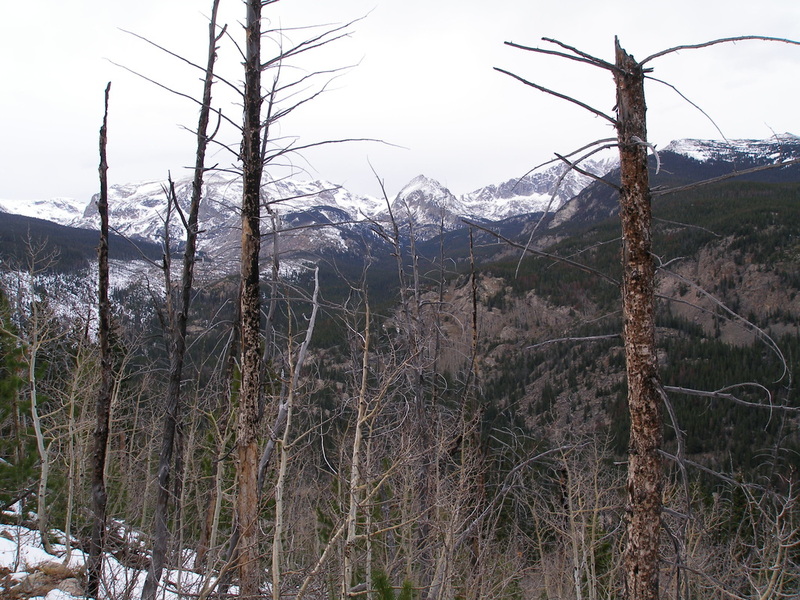 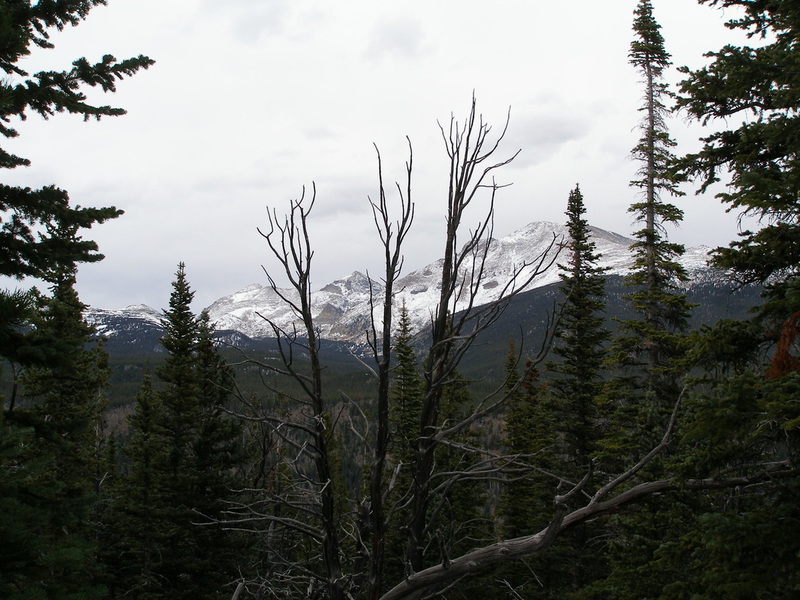 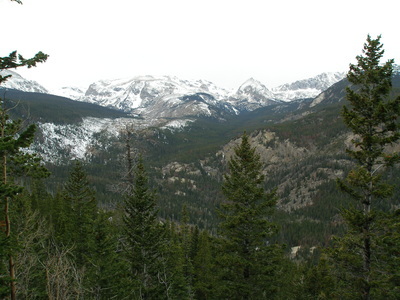 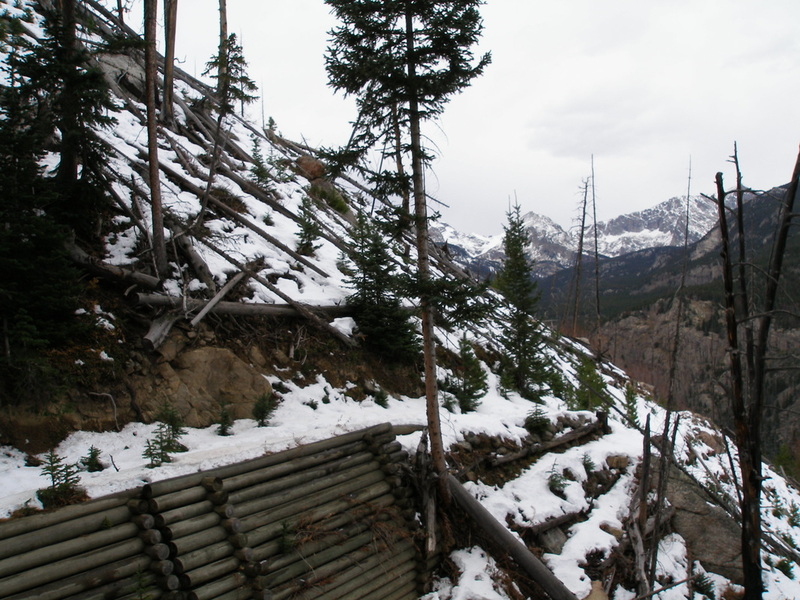 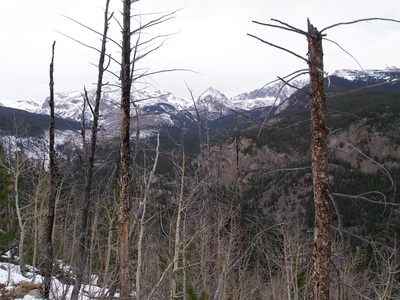 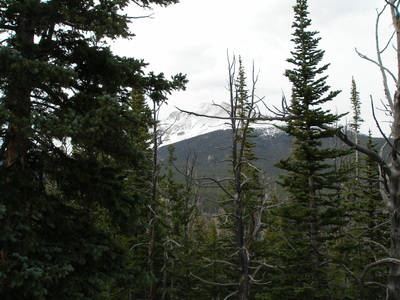 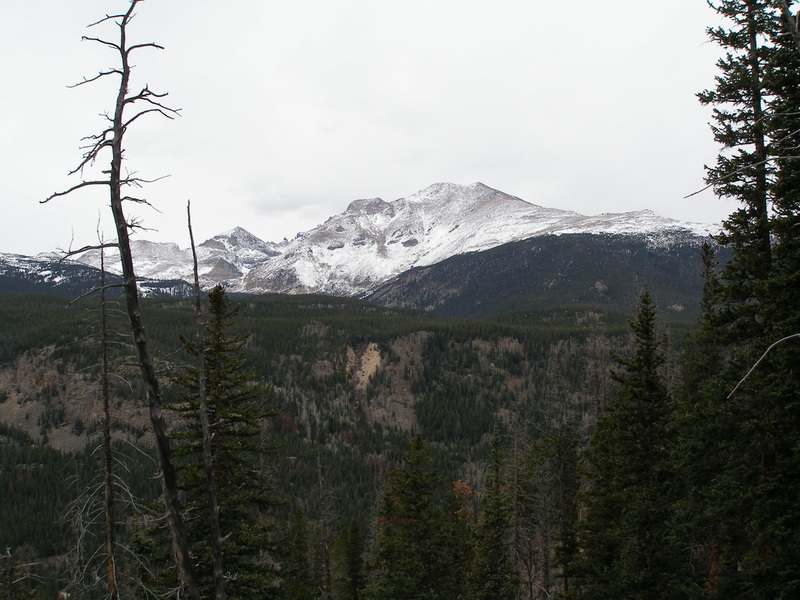 Directions: From Estes Park head south on Hwy 7 pass the Long's Peak Ranger Station and Pass the Wild Basin Entrance. 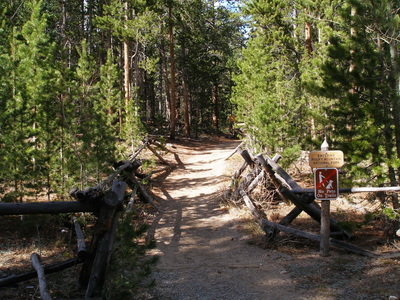 Look for the Allenspark Trailhead sign south of the Wild Basin Entrance. 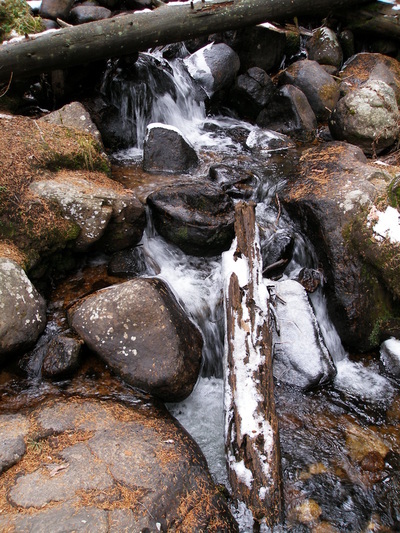 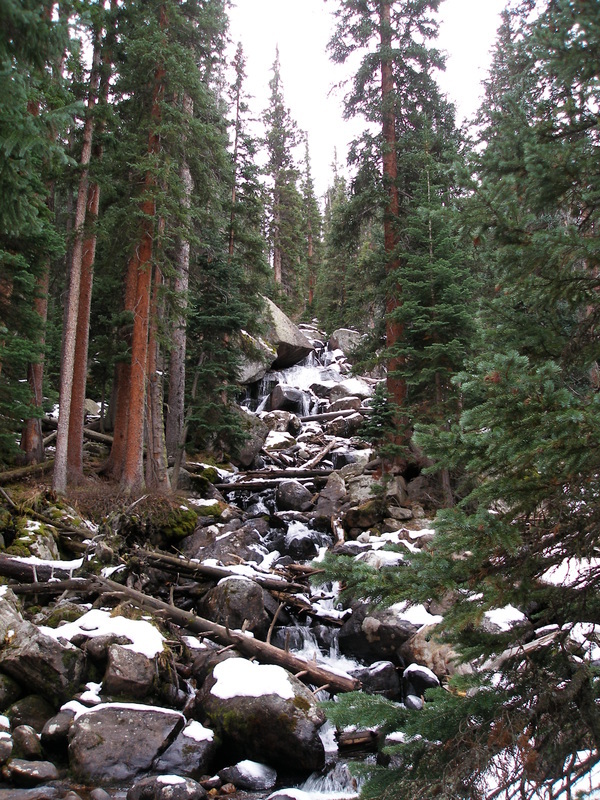 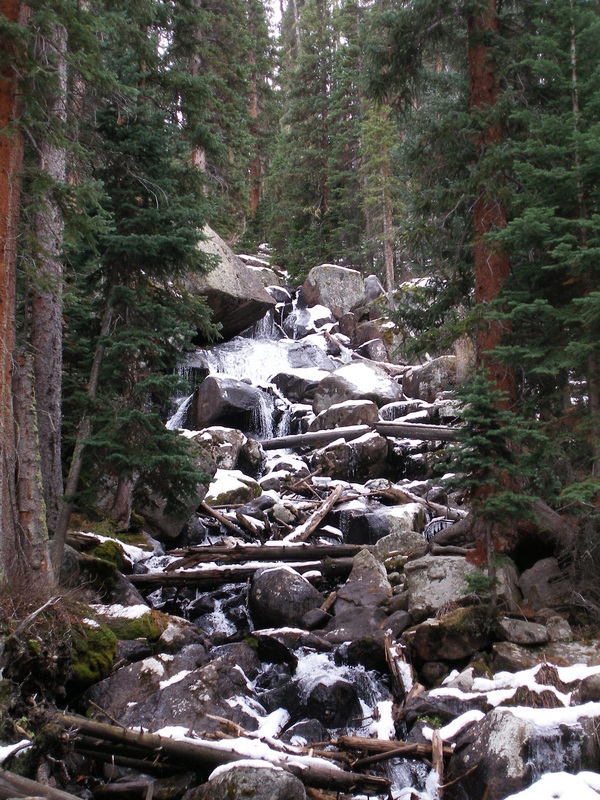 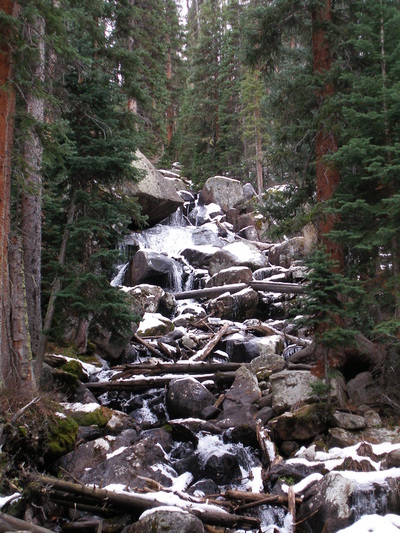 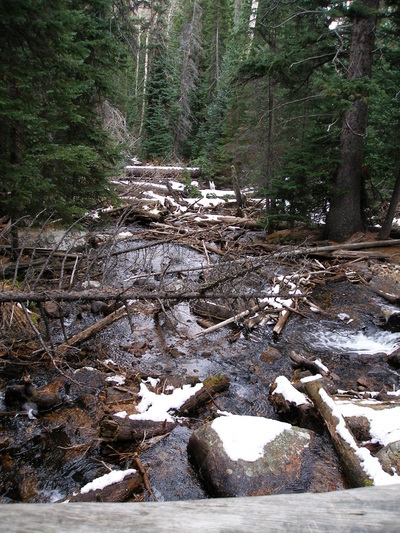 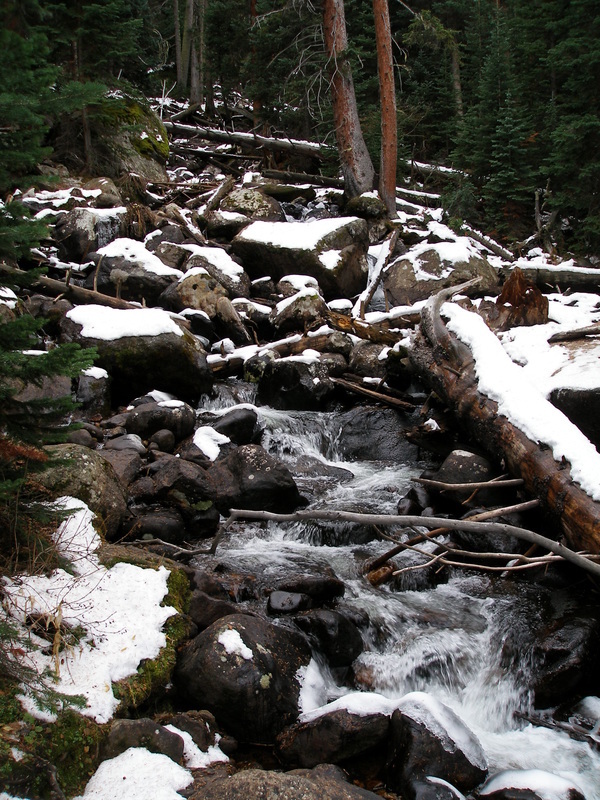 Calypso Cascades is a wonderful moderate hike through the quieter southern portion of Rocky Mountain National Park known as Wild Basin. 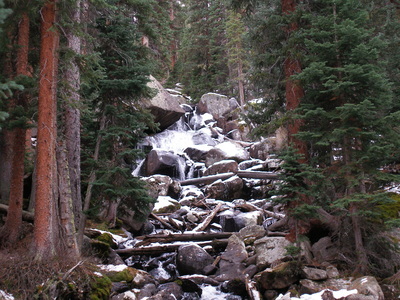 Your destination is an impressive set of cascade waterfalls. 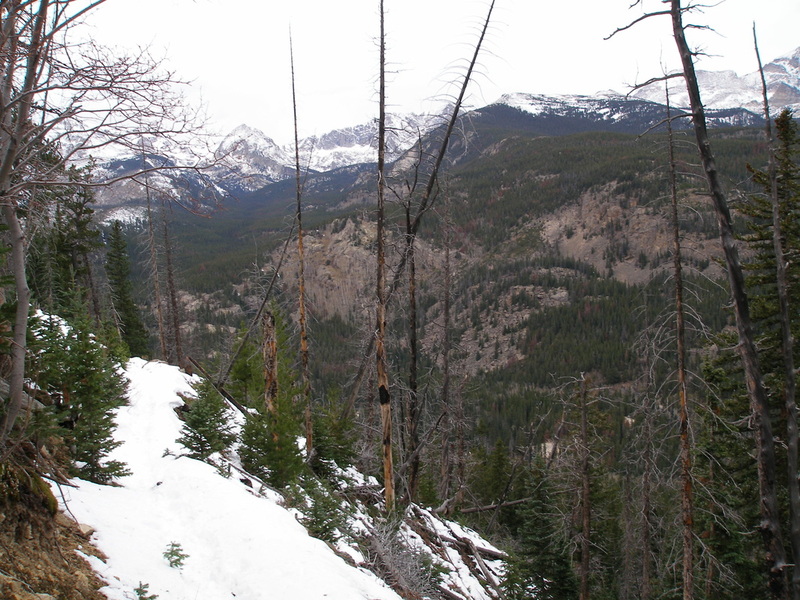 In the winter this makes for a wonderful cold weather hike or snowshoe. 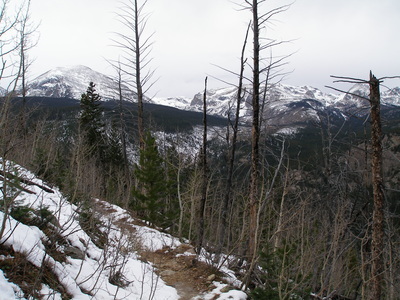 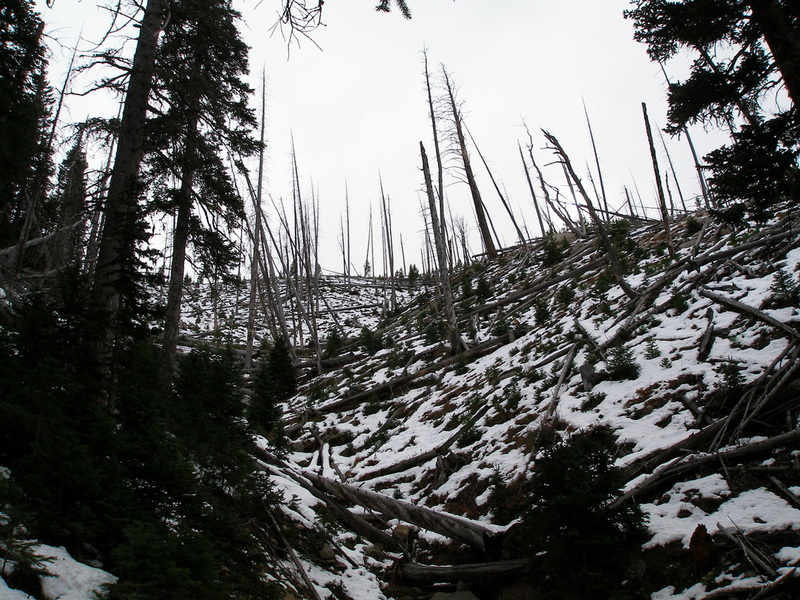 The typical hike starts at the Wild Basin Trailhead but you can also get there via the Allenspark Trailhead which is easier to reach in the wintertime, but the hike is a bit longer. 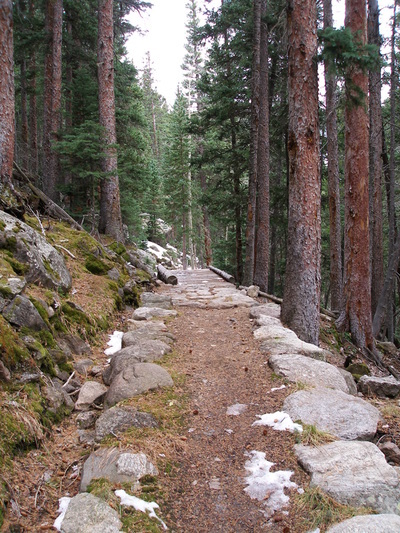 The trail mostly travels through the evergreen forest, with various overlooks and breaks in the trees revealing the awesome views of Mt. 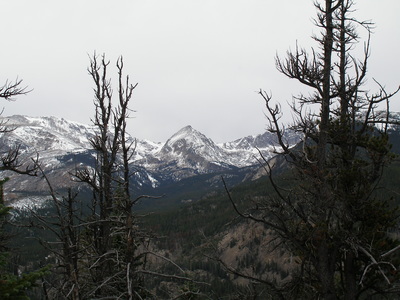 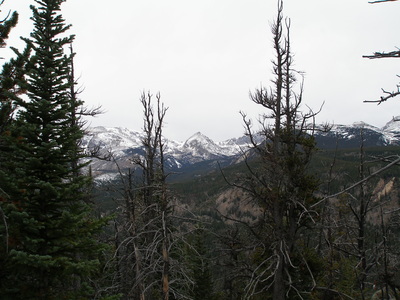 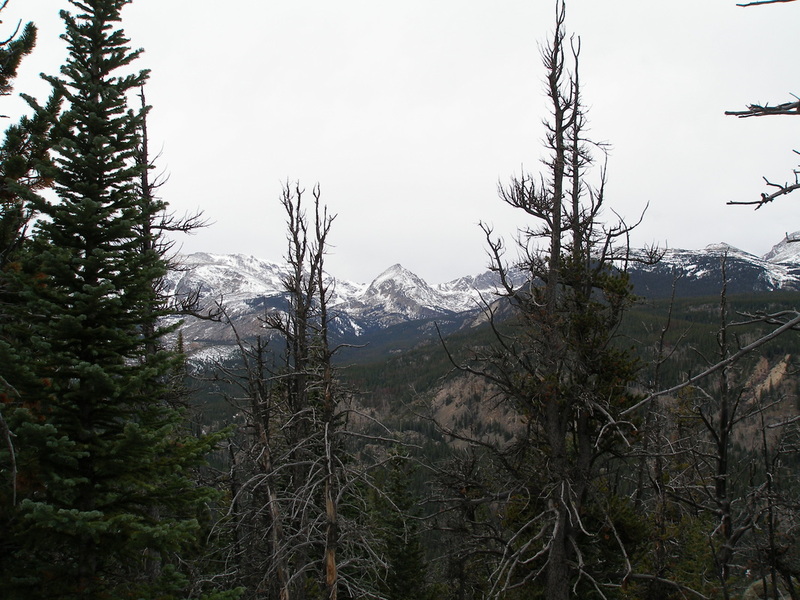 Meeker, Pagoda Mountain, Chief's Head Peak, and the surrounding mountains of the Wild Basin. 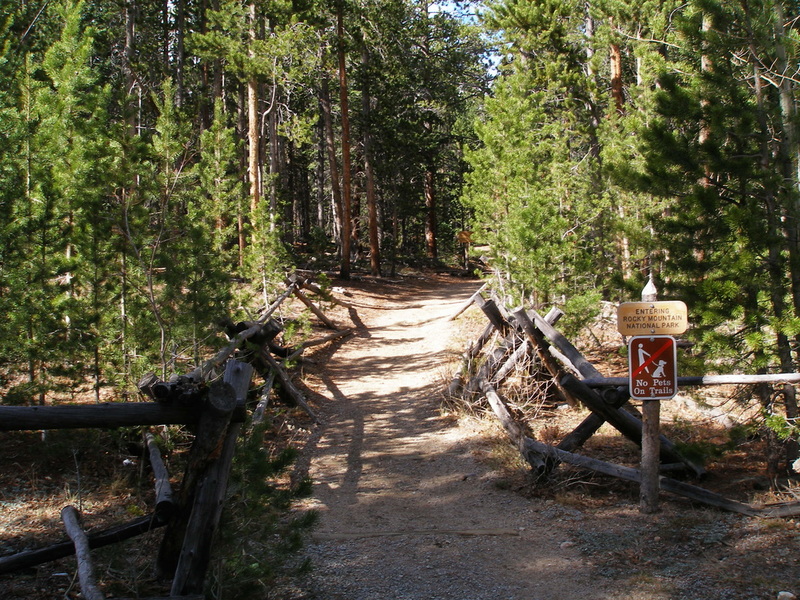 When you reach the junction with the Finch Lake Trail stay straight following signs to the Cascades. After about 2.5 miles (from the Trailhead) you'll reach the bridges and wood walkways that span the cascades and hear the thunder or the icy winter trickle of Calypso Cascades. 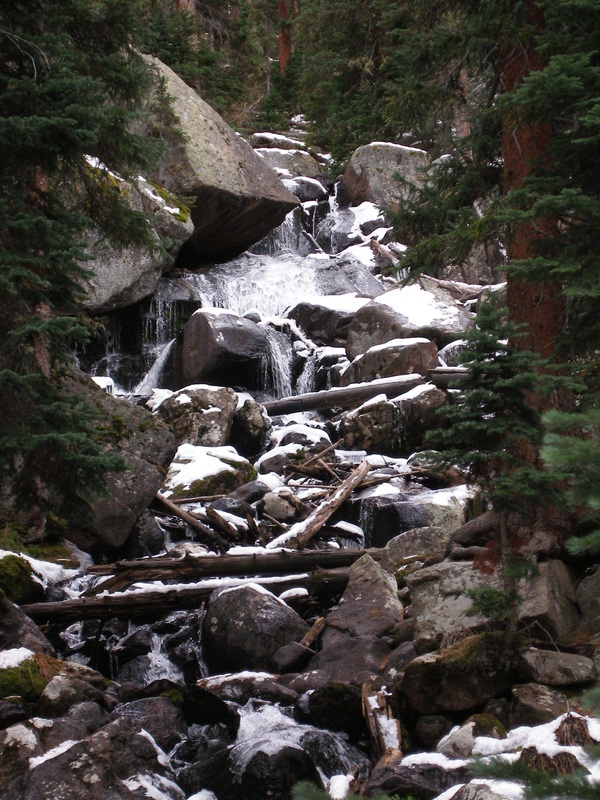 From here the trails continue to the dazzling backcountry of Wild Basin but for purposes of this description, simply return following the same route.